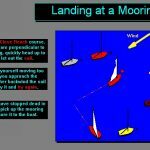 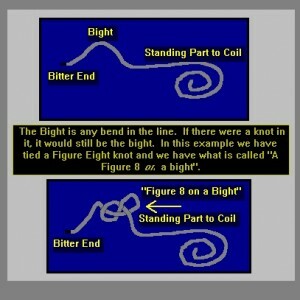 One of the most important skill of sailing is to know how to tie certain knots and to tie them quickly. 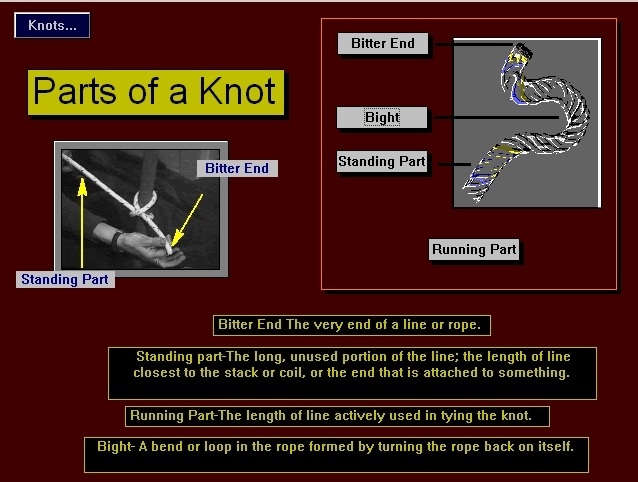 With Narration and Digital Video, you will learn how to tie the most necessary Sailing Knots. 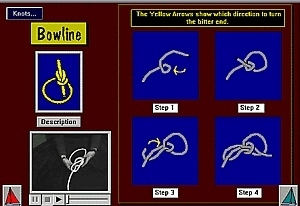 You will how learn to tie the Bowline, Figure Eight, Reef Knot, Square Knot, Clove Hitch, Cleat Hitch and Round turn. 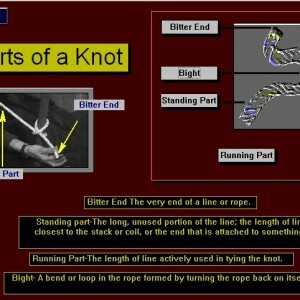 Also covered are the different parts of a knot, types of knots and maintenance of line used for tying knots. 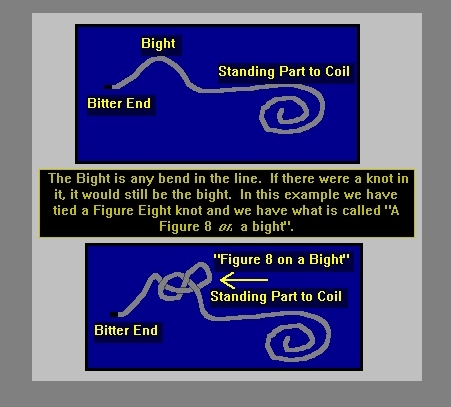 You will learn what the knots are used for and how they work. 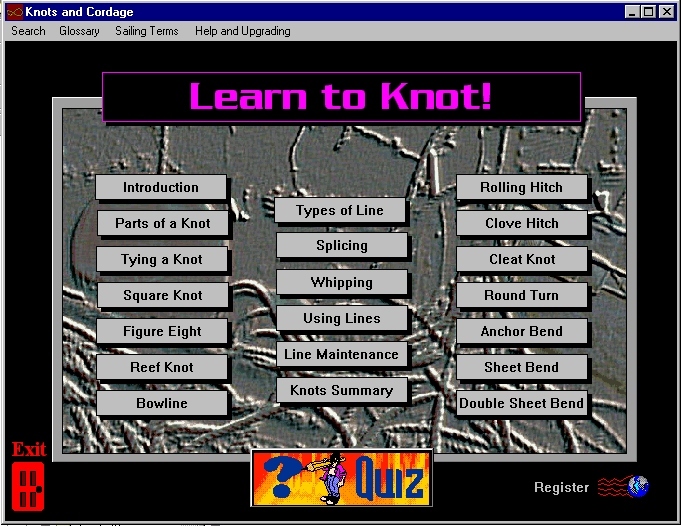 To Knot or Knot to Be!